To answer most questions you may have, we’ve created four separate FAQ sections. If you still have an unanswered question after reading through the above question sections, please Contact Us… we are always happy to help! To receive money-saving discounts, special offers and details of special events. We won't pass your details onto anybody else. Ever. 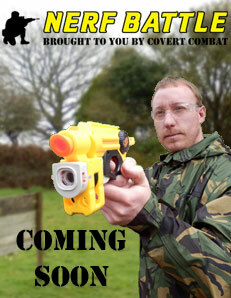 We look forward to welcoming you when you come to play "Covert Combat"